Heat oil in a heavy pan to 350 degrees. Open the can(s) of crescent rolls. Divide each crescent triangle in half. Create donut shapes or "holes" with the crescent dough. Drop dough into the hot oil. Fry approx 90 seconds on each side or until golden brown. Place on a paper towel to drain. 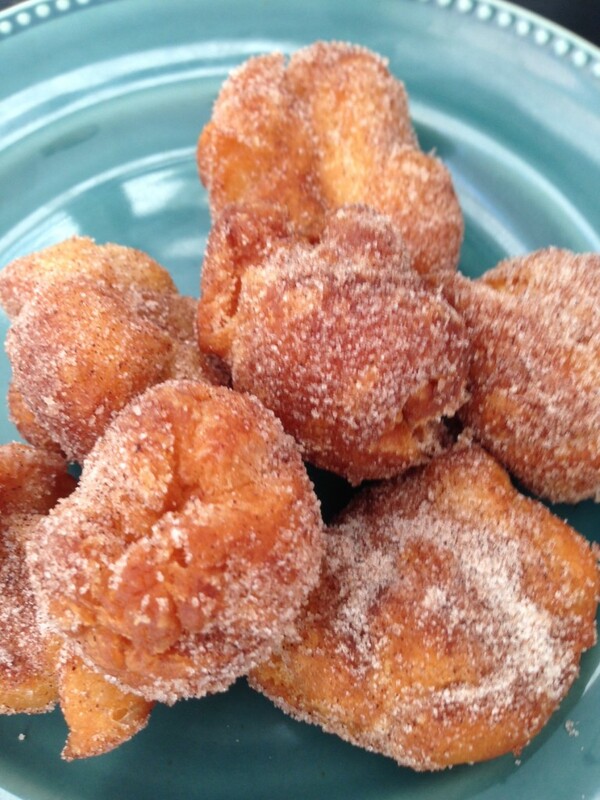 Top with powdered sugar or a mixture of cinnamon and granulated sugar.